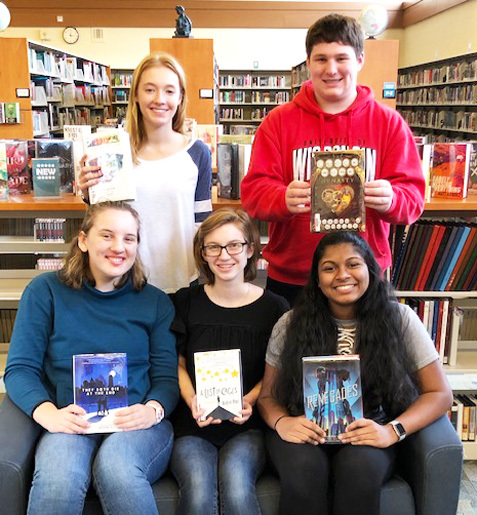 Hamilton High School students Dorothy Palmer, Maja Pechanach, Nikhita Nair, Ellie DeCleene and Sean LaVoy (alternate) took first place in the senior division at the Wisconsin Educational Media & Technology Association (WEMTA) Battle of the Books competing against 61 teams statewide. This is the third time Hamilton has won first place in the last six years. The senior reading list includes 20 books that students read deeply to retain information about plot, character, theme, setting and other elements. The teams will receive a plaque and students will receive individual certificates.